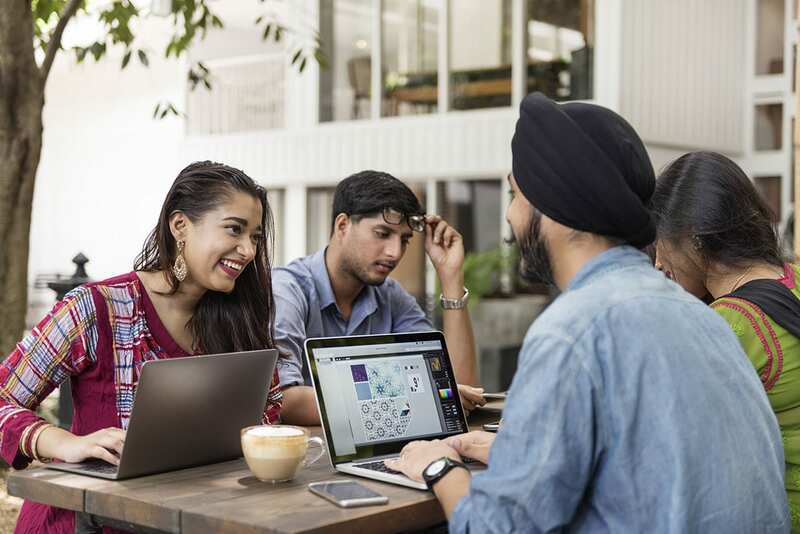 While the skills acquired from Indian universities might add enough credentials to be a data scientist, the craze of acquiring these skills from a foreign university hasn’t slowed down yet. Though our earlier article suggested that there has been a considerable decline in Indian students enrolling in US colleges, nevertheless it also hinted towards an increased employability in India after the completion of the course from foreign universities. This can be attributed to foreign universities boasting a diverse and exhaustive coursework, along with a strong focus on practical projects. To pursue an advanced degree in data science such as an MS in foreign university typically requires the candidate to have an understanding of computer science and statistics, along with a strong foundation in math and computational programming. While these are just basic skills, detailed requirement for each university may vary. This article tries to offer a step-by-step guide to study data science in a foreign university. It is important to note that these are the usual steps to be followed while applying in foreign universities, however, few processes and requirements might differ based on each university. We would suggest you visit each university’s website for exact details. While many aspirants might be extremely interested in pursuing higher studies from a different country, they usually take a back foot owing to the lack of awareness of the application process and the inability to shortlist the country and the program. Before applying for a data science program, it is important to have a clear idea on why you want to pursue this degree in a foreign land. The driving forces could be the fact that these countries are more mature market for analytics and data science and are therefore offering better job opportunities, better exposure, improving the chances of employability, or simply the experience of having friends and family in that country. The most popular list of countries to study data science are US, Canada, Germany, Australia, among others. Curriculum: It is the most important aspect and gives an insight into what you will be studying for the entire duration of the program. The coursework is typically divided into compulsory courses and electives. Some universities also offer the provision to wave off some core courses if you are already experienced in them. Most universities have 5-10 core courses, with a capstone project in the last semester. It is important to have a thorough look into the curriculum, which is available on the website of most universities. Practical Training And Industry Collaboration: Data science being practical-intensive subject, it is important to choose a program that offers maximum exposure to practical training. While most foreign universities have capstone project spread across 6-8 months, it is recommended to check it beforehand. University location might play an important role in the kind of opportunity that you could explore for you practical training and internship programmes. It goes without saying that better the collaborations these universities have with industries; your practical exposure would increase significantly. Like any postgraduate program, MS program in data science requires you to have a minimum of bachelor’s degree in any field from an accredited institution in India. Applicants with strong academic and professional backgrounds in math, computer science, engineering, finance, economics or equivalent skills are encouraged to apply. The applicants are also expected to have strong skills in statistics, linear algebra, computer programming such as Java, Python, C++, R, ability to write structured programs, understanding of variables, data types, familiarity with basic data structures, calculus, and others. The minimum score required is usually 60 percent, which may vary depending on universities. These programs in foreign universities require you to clear GRE and GMAT with decent scores. Different countries and programs may accept either one or both scores. It goes without saying that the top-rated universities demand high scores in these exams, so the more you score, the better are the chances of getting an admission into the university of your choice. Another important prerequisite is the English language exam which needs to be taken within two years of the program’s application deadline in most cases. Depending on the country, the English entrance tests to be taken are TOEFL, IELTS or PTE. Proof of Funding: Proof of funding is required for any applicant seeking a student visa. If the funds are not in your name, a sponsor statement of support may be also required. Passport & International Address: Valid passport along with a proof of international address is required by most universities. Statement of Purpose (SOP): It is a document describing your educational and work experience, career goals, etc. which aligns with the data science program. It may have an explanation of all your grades, goals, objectives, reason for the lack of relevant coursework, reasons for low grade, gaps in education, employment history, and other details. The document should not be longer than two pages. Resume & Curriculum Vitae: These universities also ask for your resume or CV which must be latest, updated and have correct details of your educational history, work, job history, coursework related to the data science program, or any other relevant experience. Letter of Recommendation: Most universities demand two to three recommendation letters along with your application which can be from your professors, guides or previous employers. Transcripts and Academic Record: These are the original documents in the original language of your university along with English translation that includes proof of college and university attended. If still enrolled in a bachelor’s program, proof of enrolment has to be submitted. Most foreign universities such as in the US have multiple admission cycles including Spring, Summer and Fall. While Fall is considered the most feasible cycle for Indian students given their sync with Indian academic cycle, admission can be taken in other two cycles based on convenience and availability. It is important to keep a check on deadlines and opening in each cycle to not miss your chance. In the usual case scenarios, Fall starts in August, with the application process beginning one year before. Spring session starts in January and Summer begins in June. While most universities have fixed fees for their program, they also offer scholarship programs in most cases. In most of these universities, international students are considered for a scholarship or other assistantships as they apply for the program. This may be based on the marks secured or other special cases. The scholarship may include full tuition fees, air travel, health cover and other allowances. While some universities consider scholarship during admission itself, for other you might have to apply for it online, which can be checked on the respective website. The application processing in foreign universities might take anywhere between weeks to months, therefore it is advised to apply for the courses well in advance and equip with the required skill sets and documents beforehand. It is also important to start preparing for GRE, GMAT, TOEFL and other exams well in advance to not miss on any of these opportunities. Good luck applying for data science programmes! Will Samsung’s Effort To Pitch Bixby In The Indian IoT Market Be A Threat To Alexa?